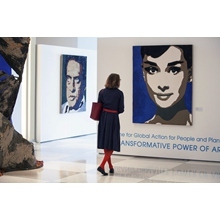 embodies the necessity to place people at the centre of our concern while protecting the planet. 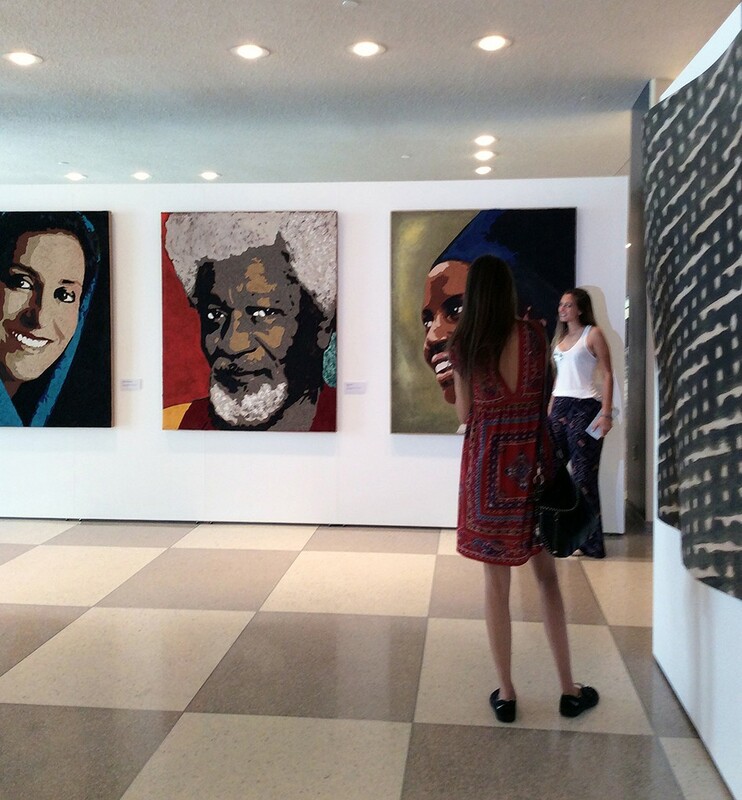 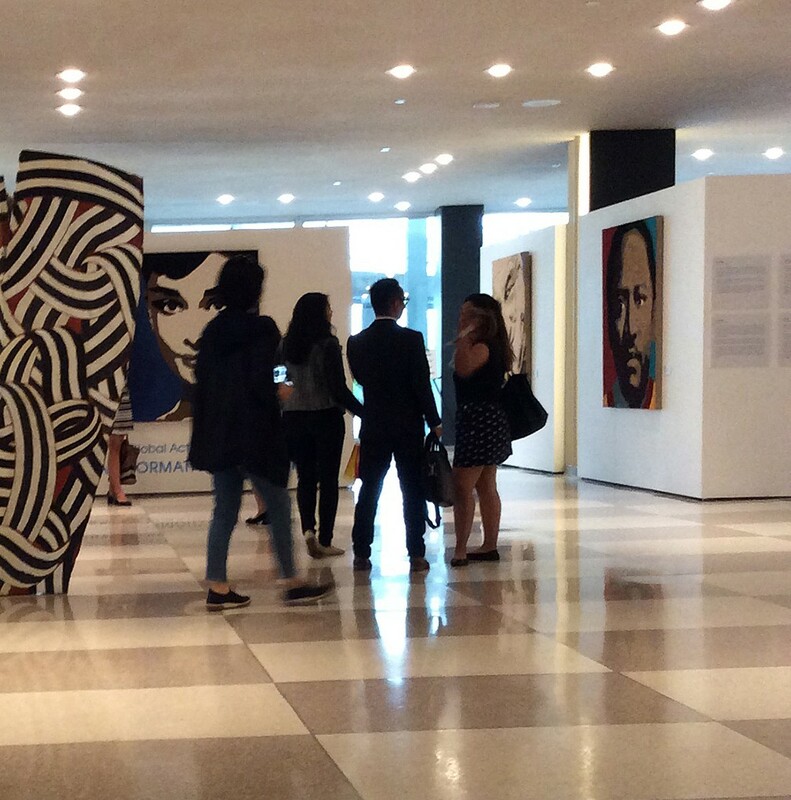 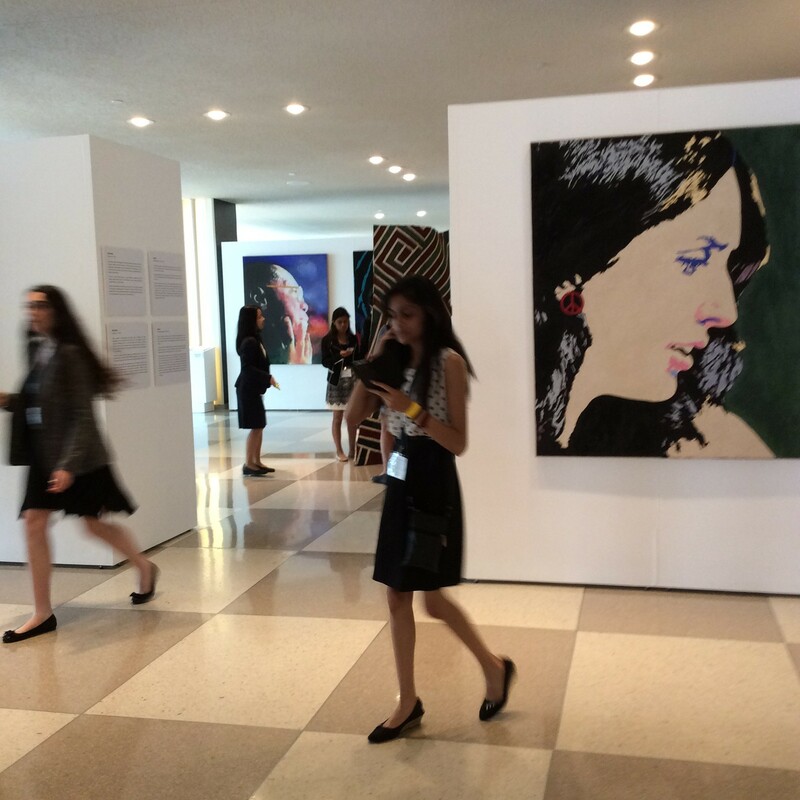 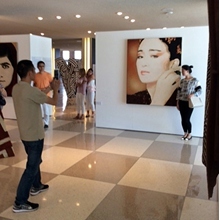 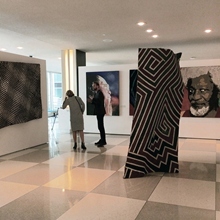 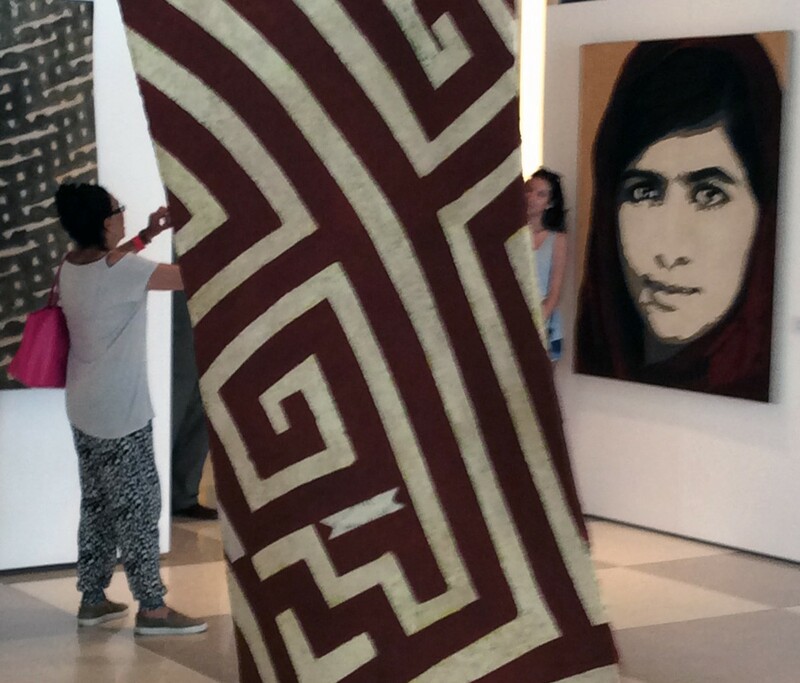 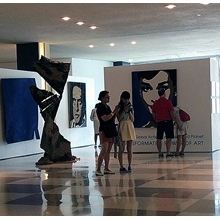 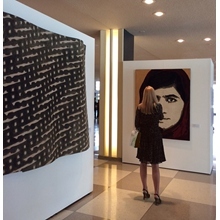 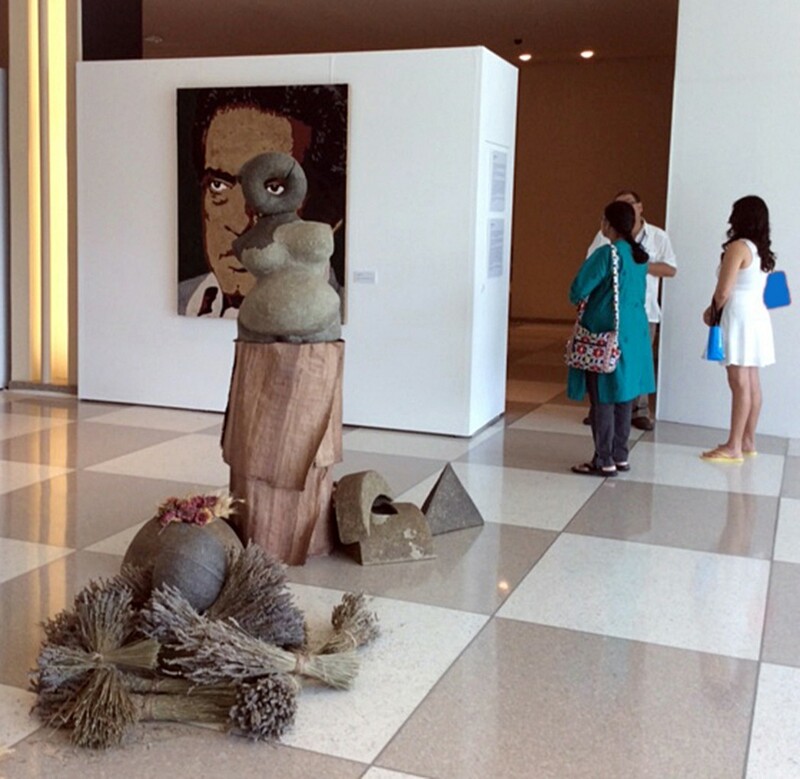 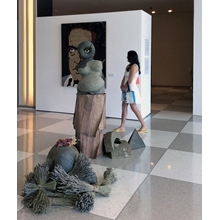 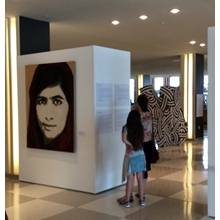 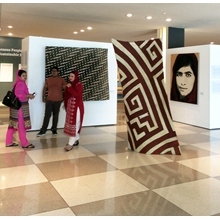 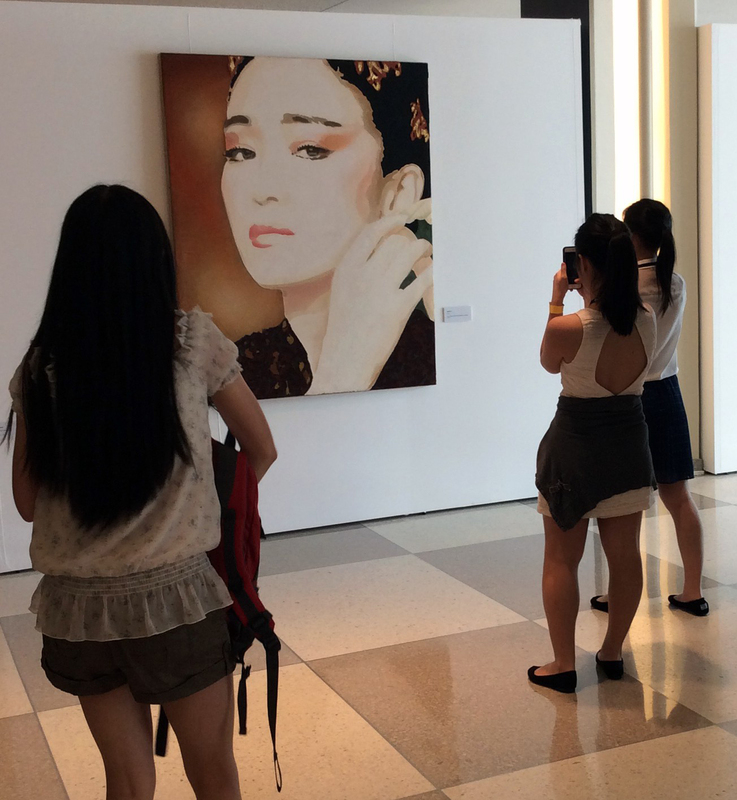 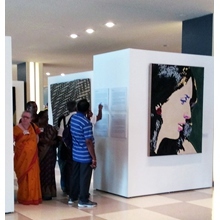 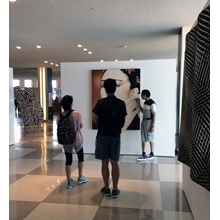 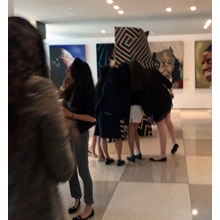 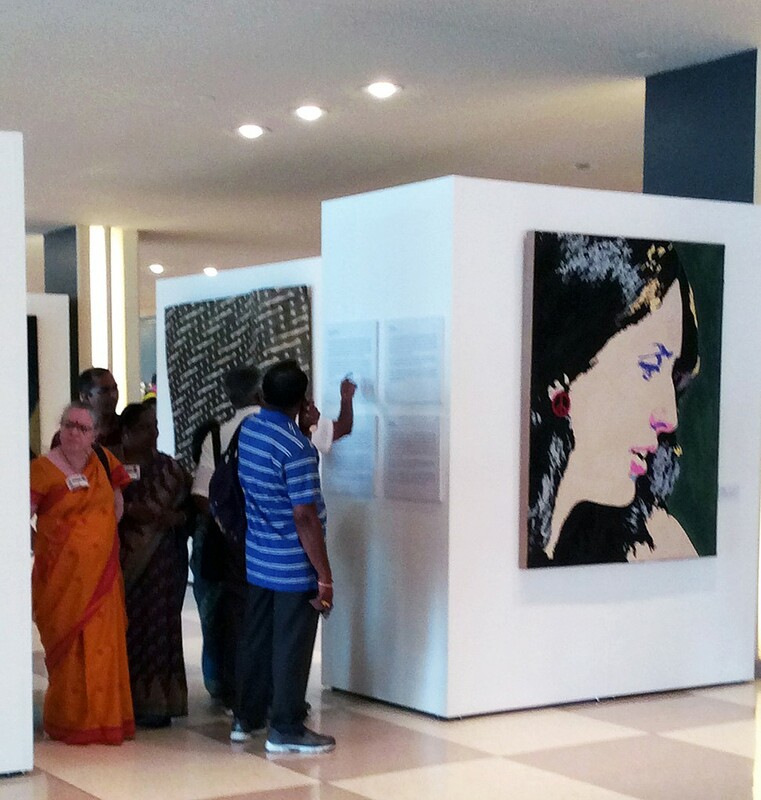 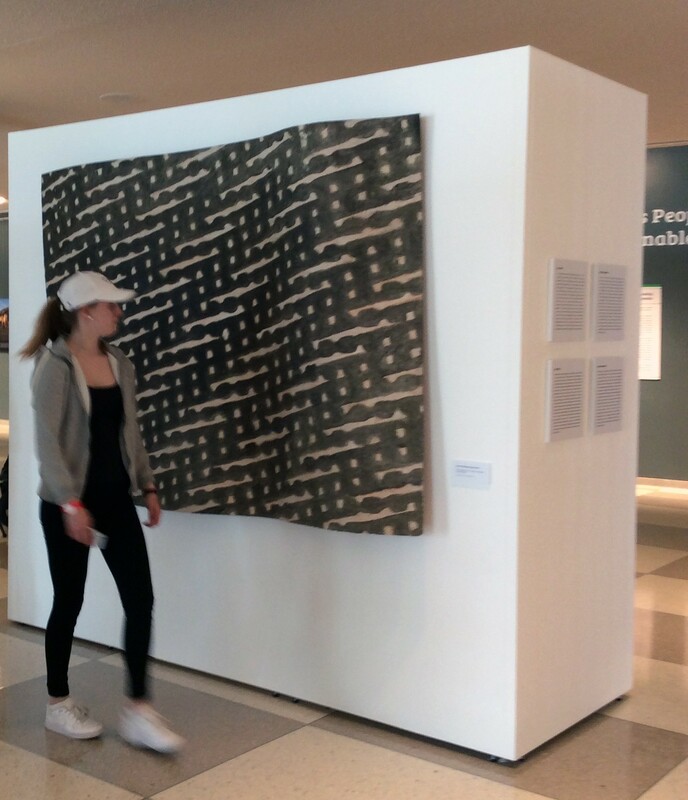 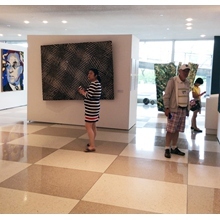 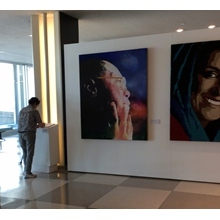 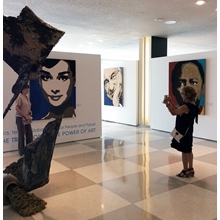 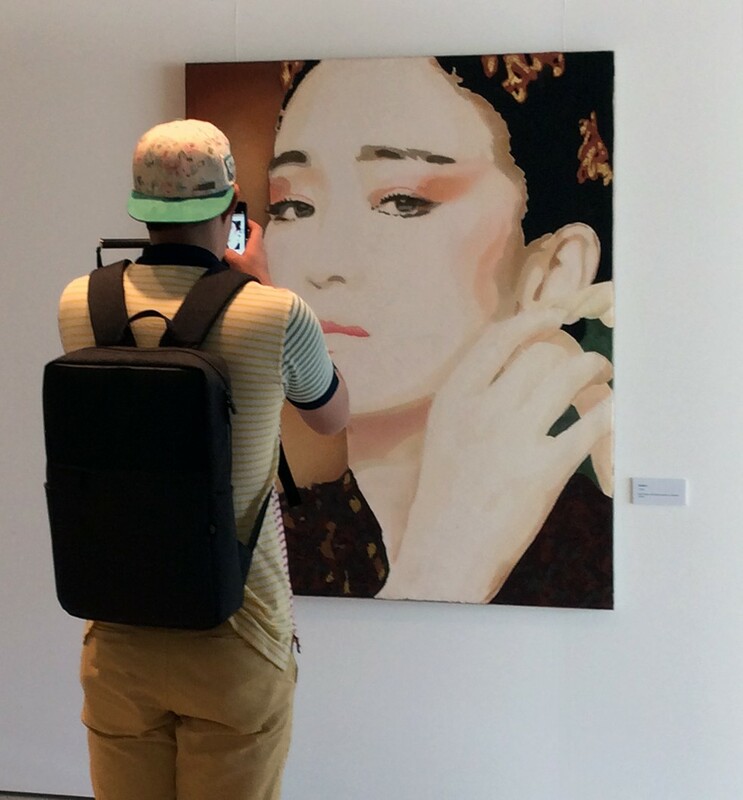 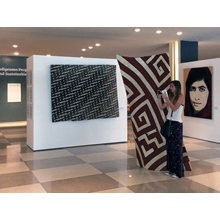 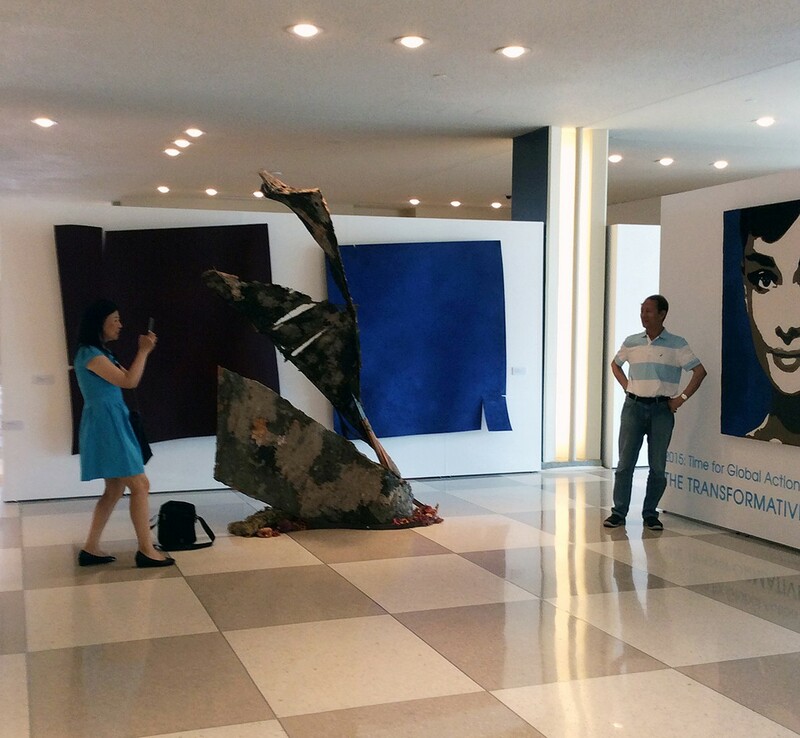 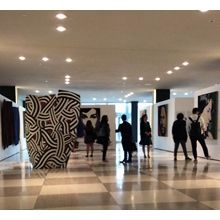 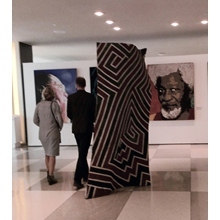 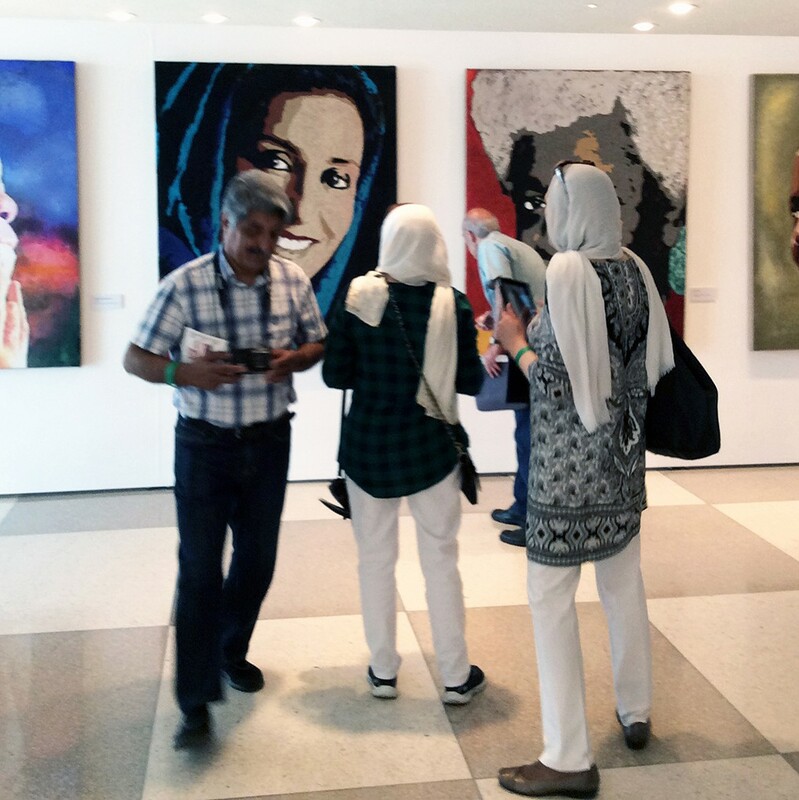 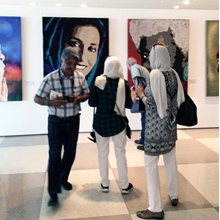 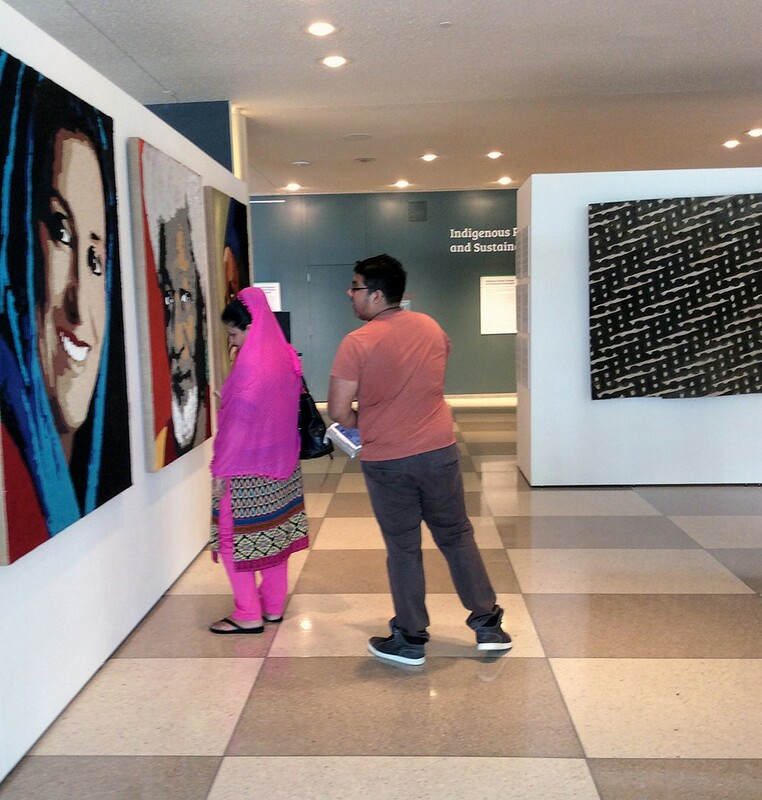 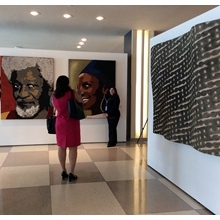 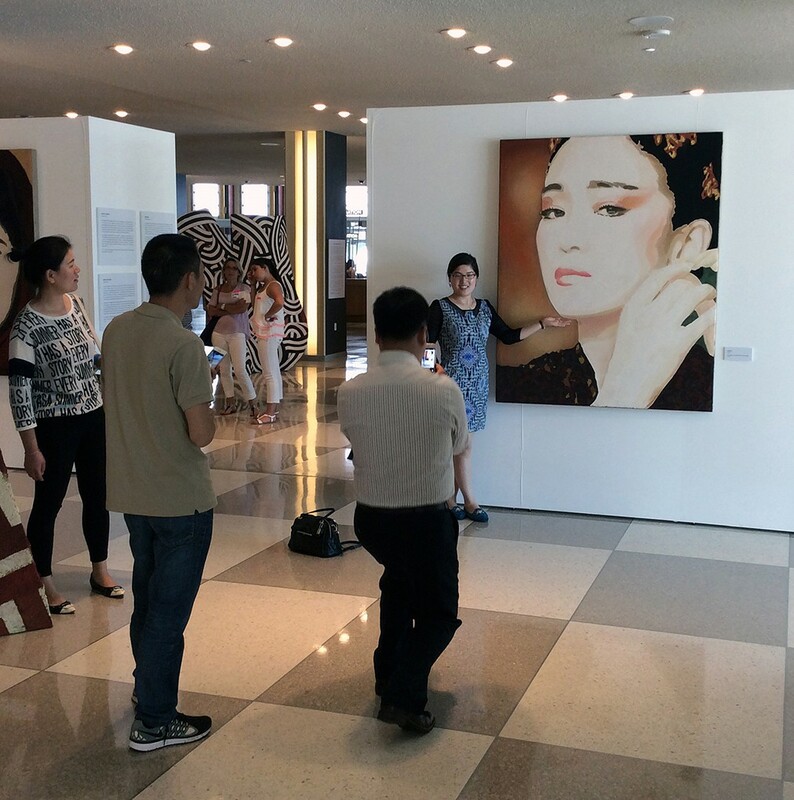 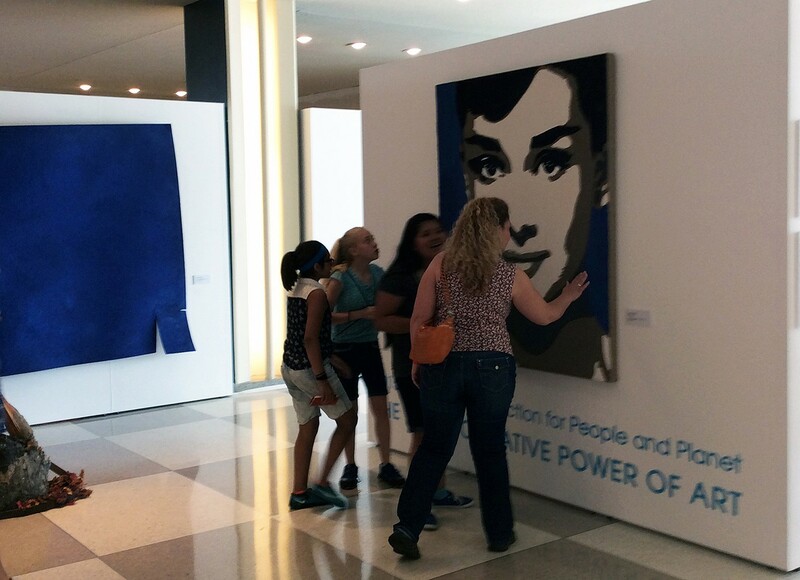 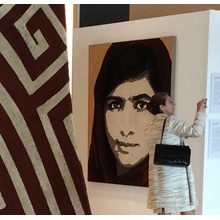 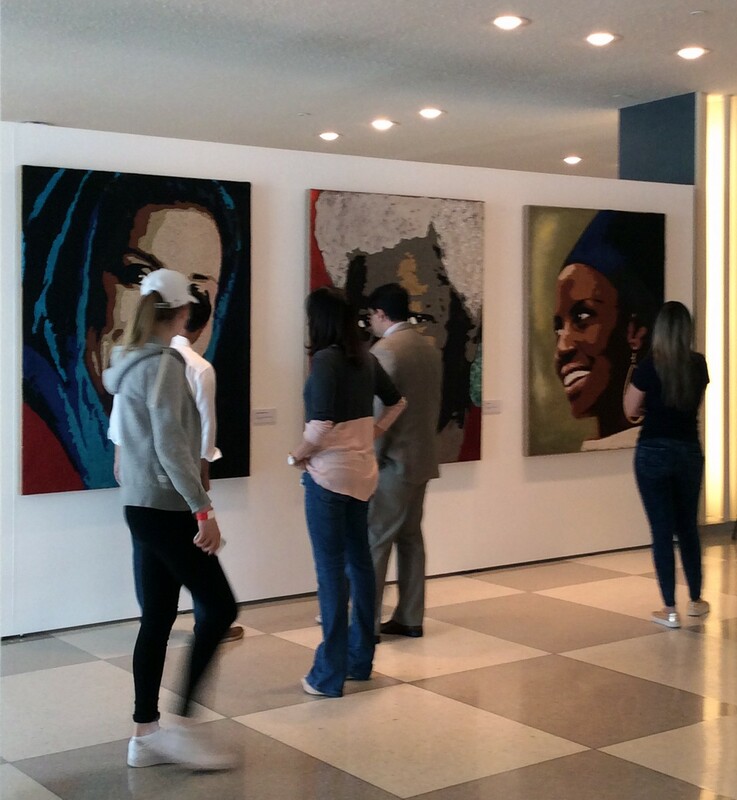 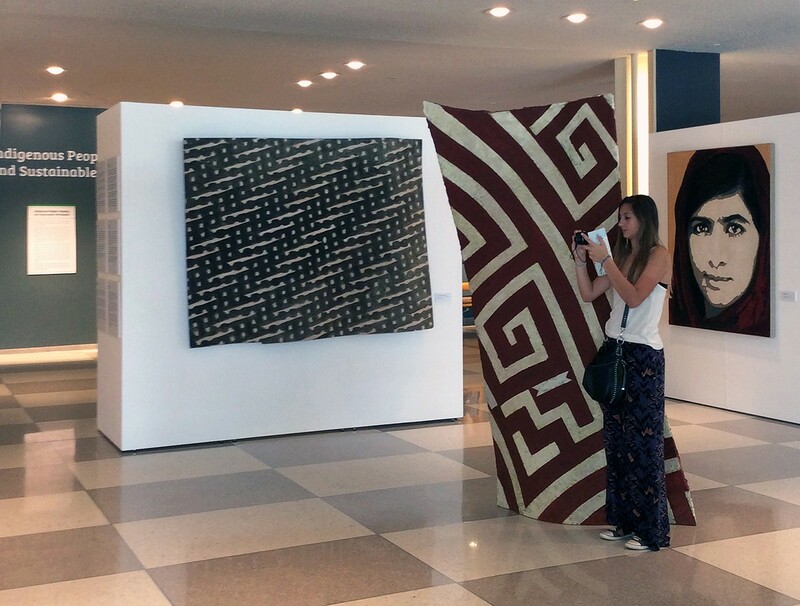 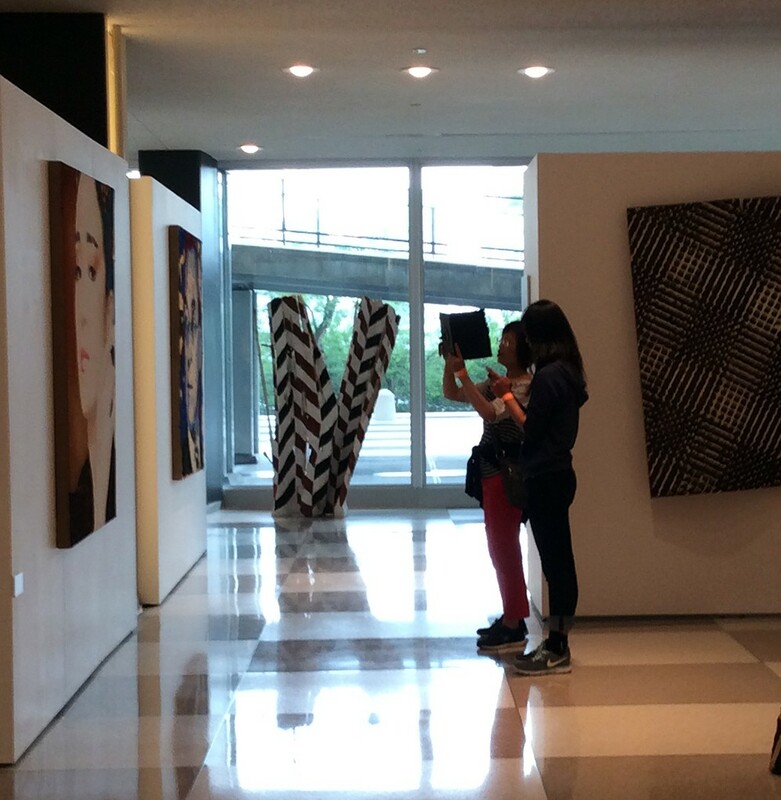 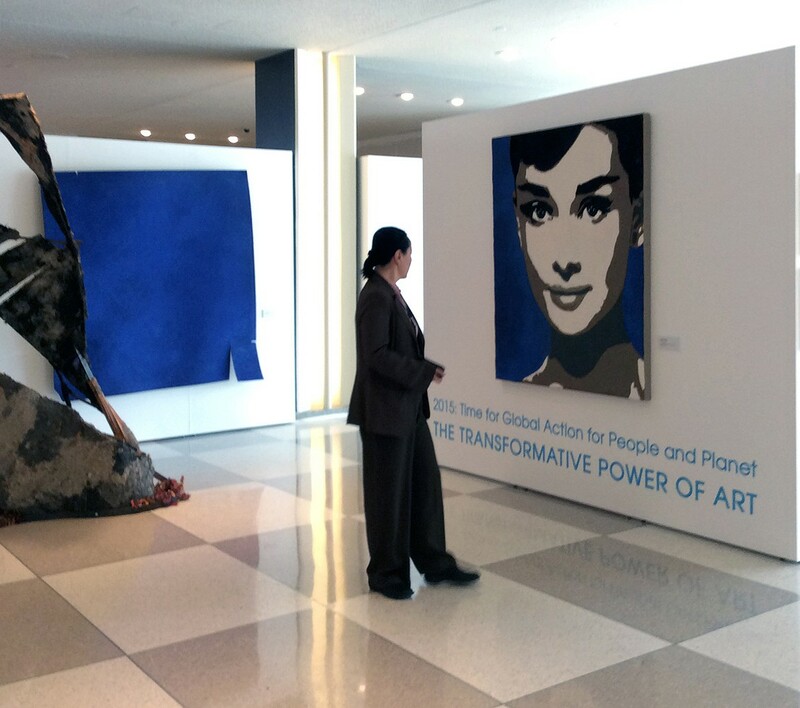 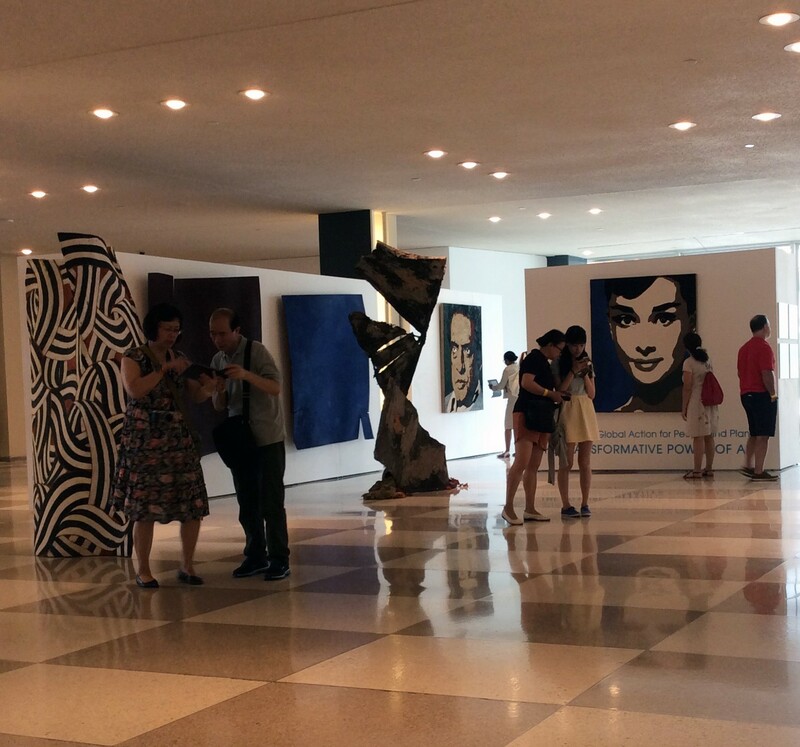 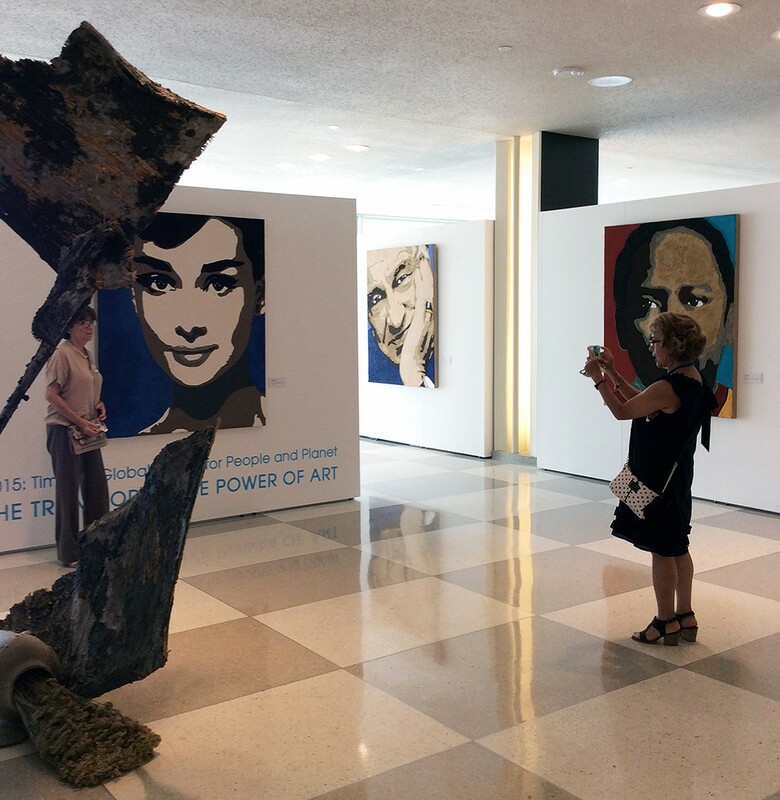 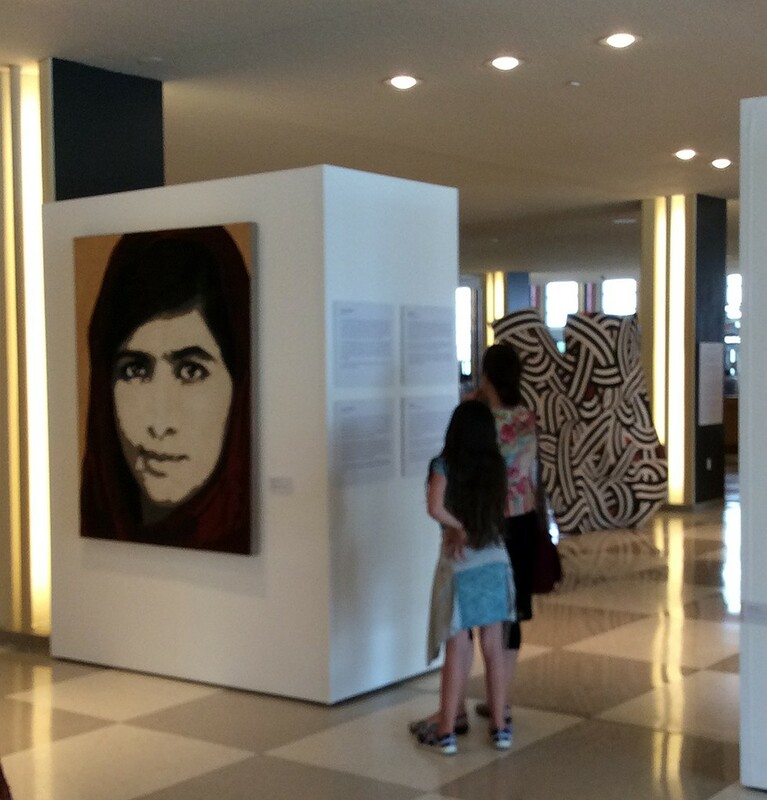 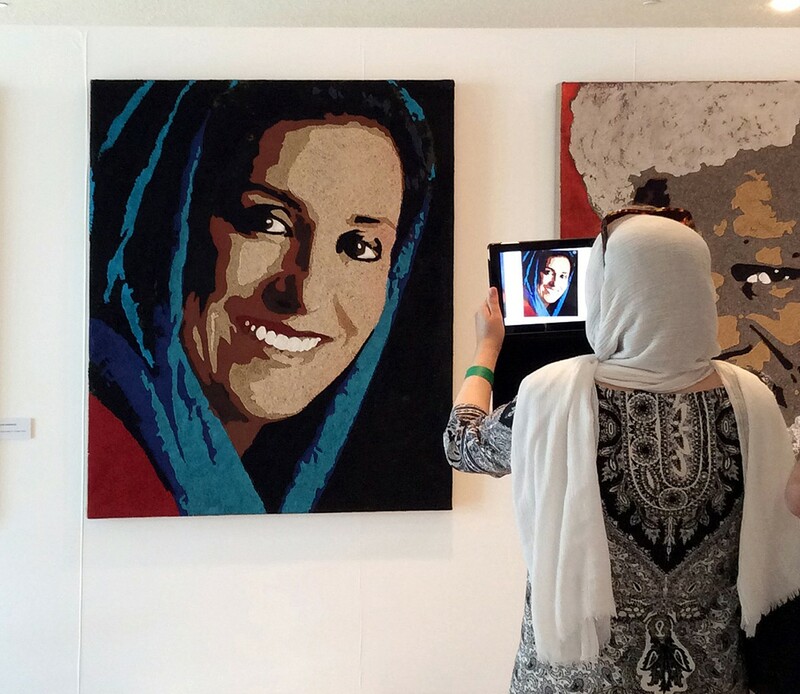 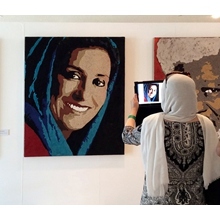 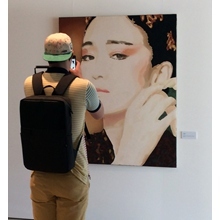 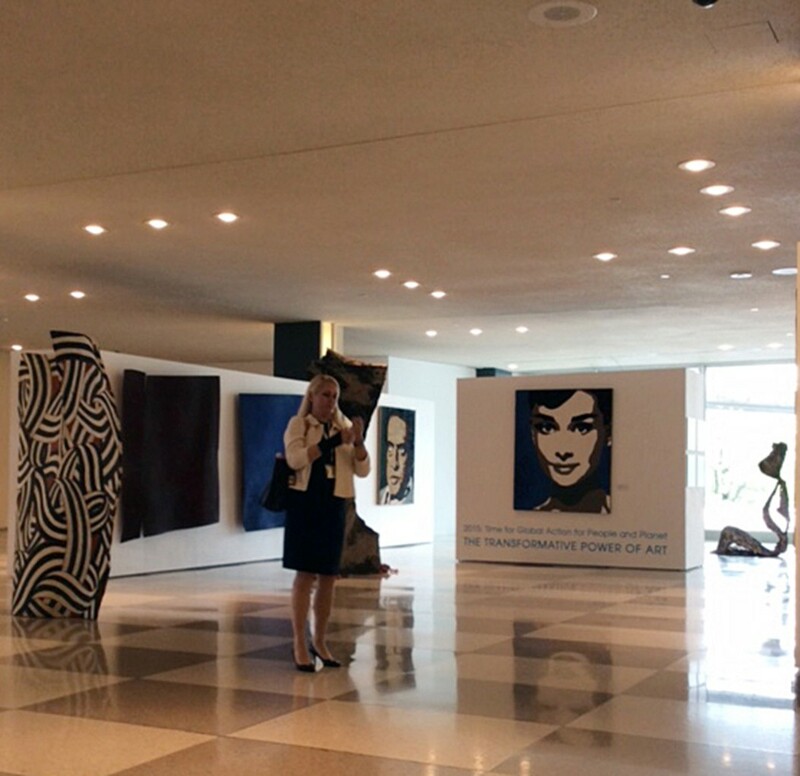 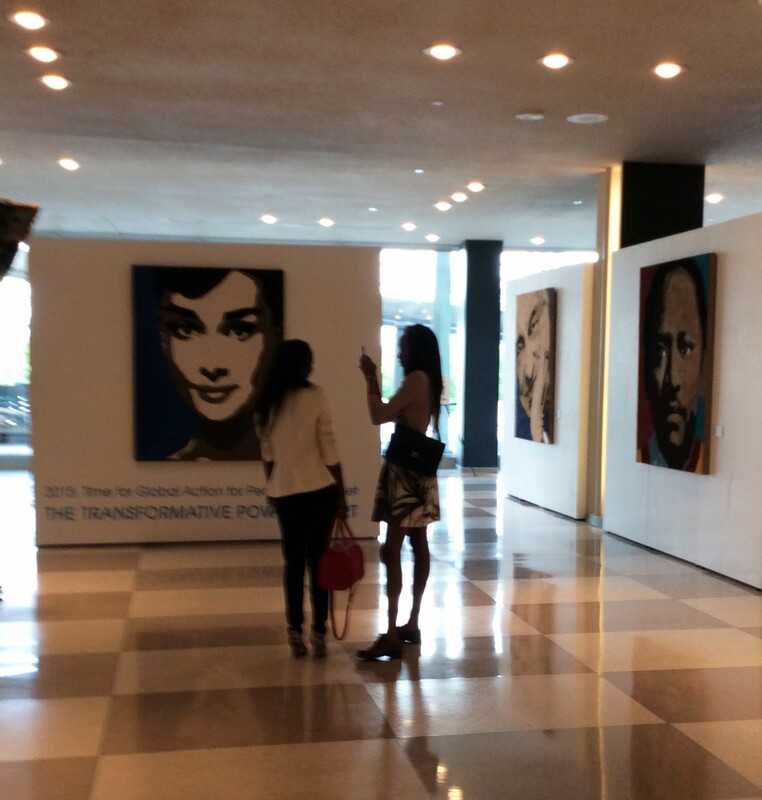 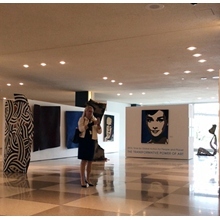 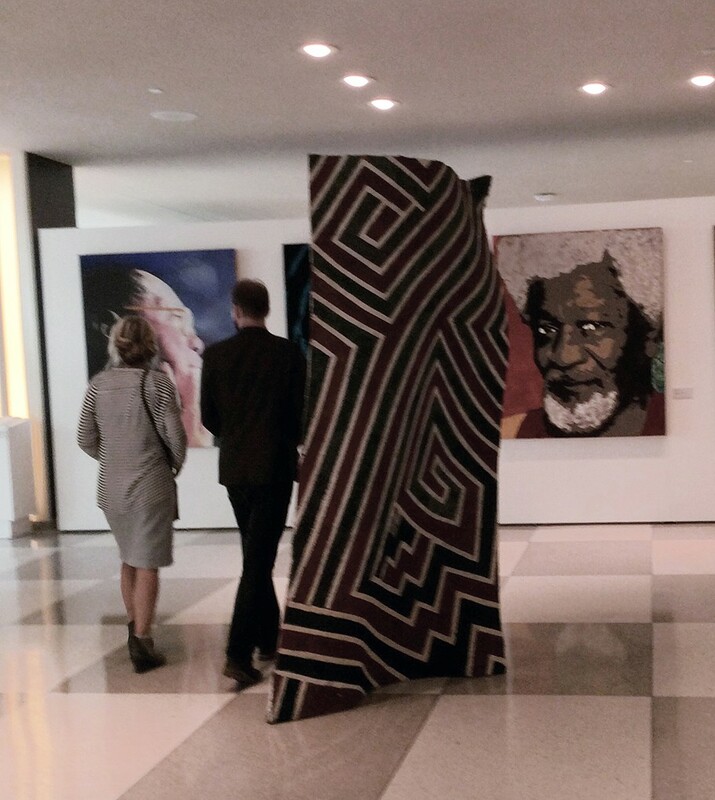 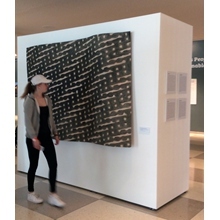 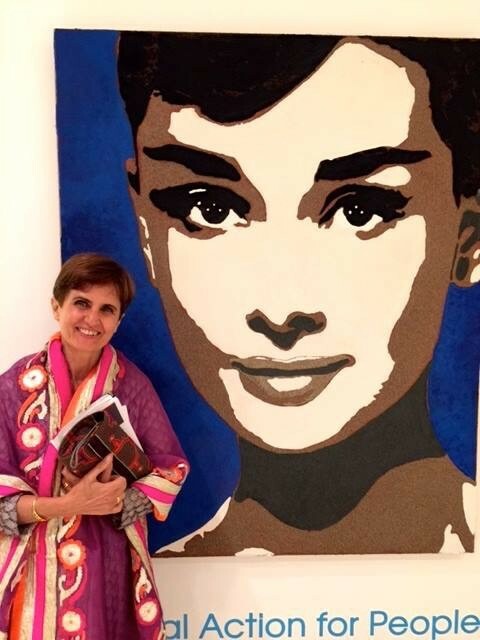 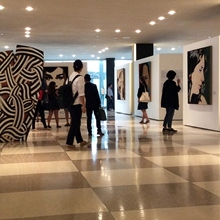 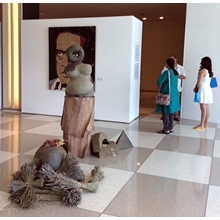 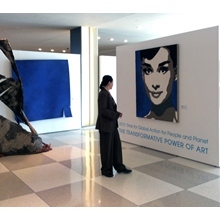 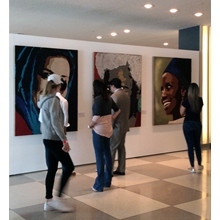 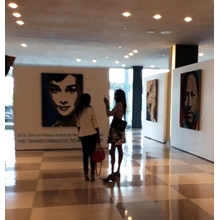 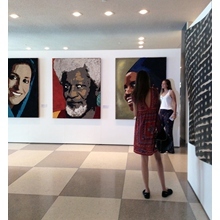 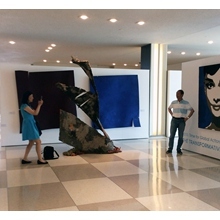 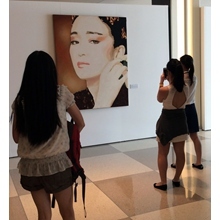 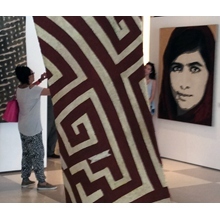 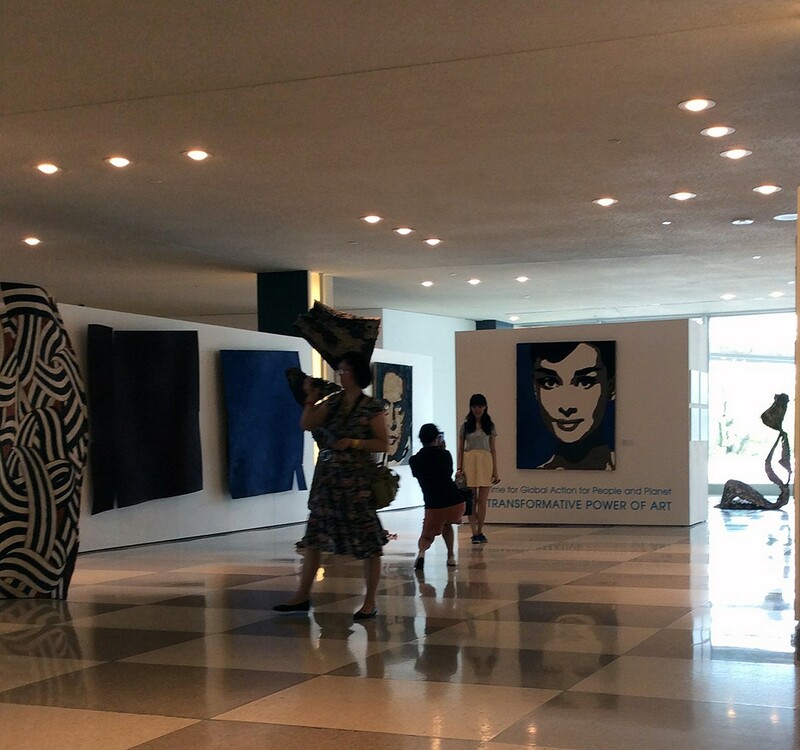 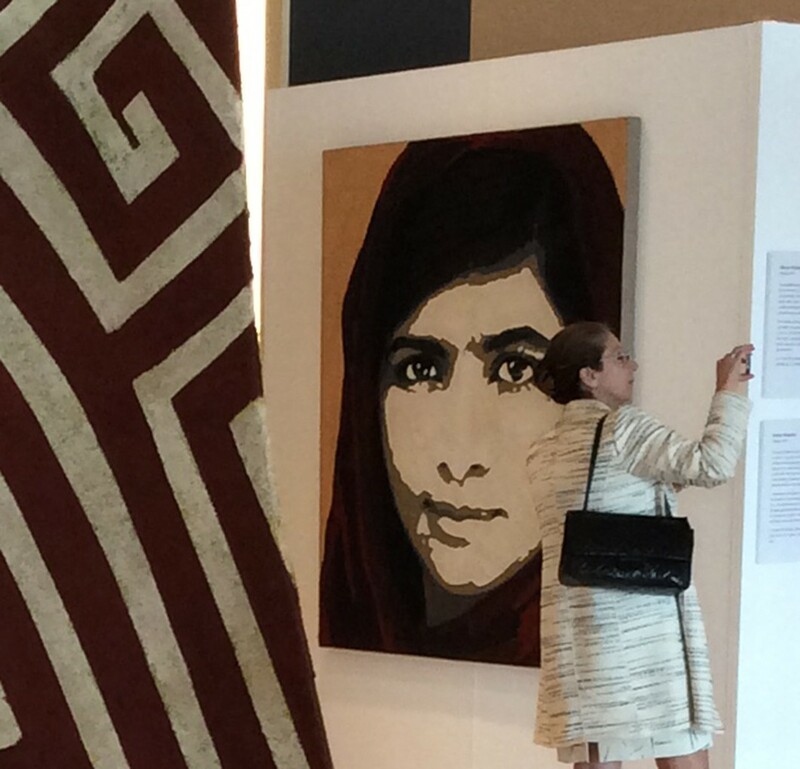 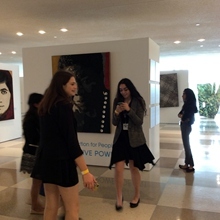 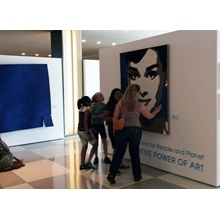 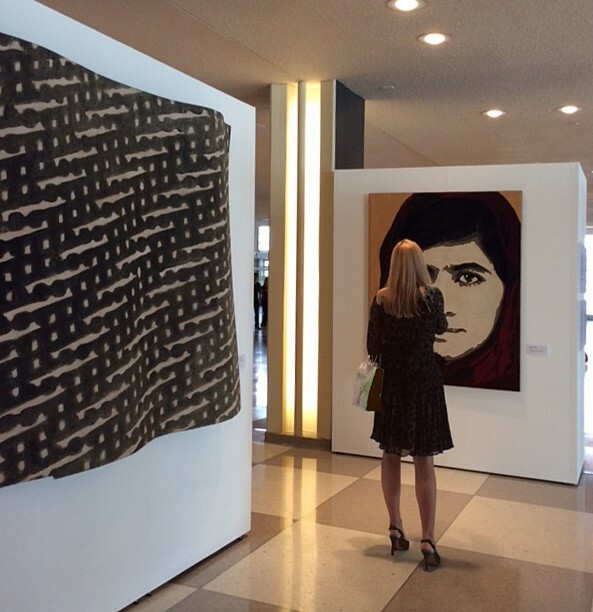 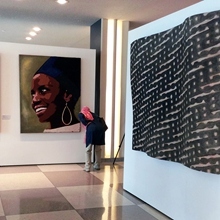 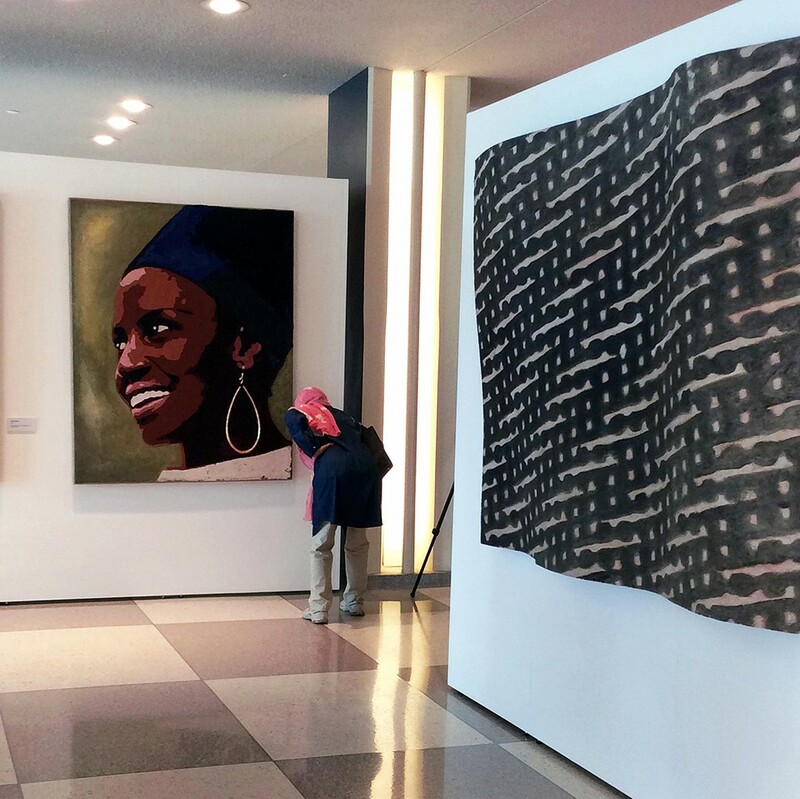 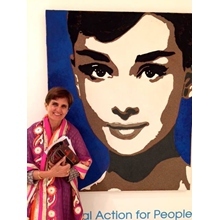 The exhibition is part of the United Nations “2015: Time for Global Action” campaign. 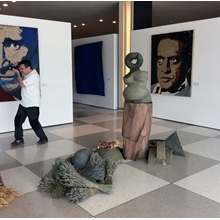 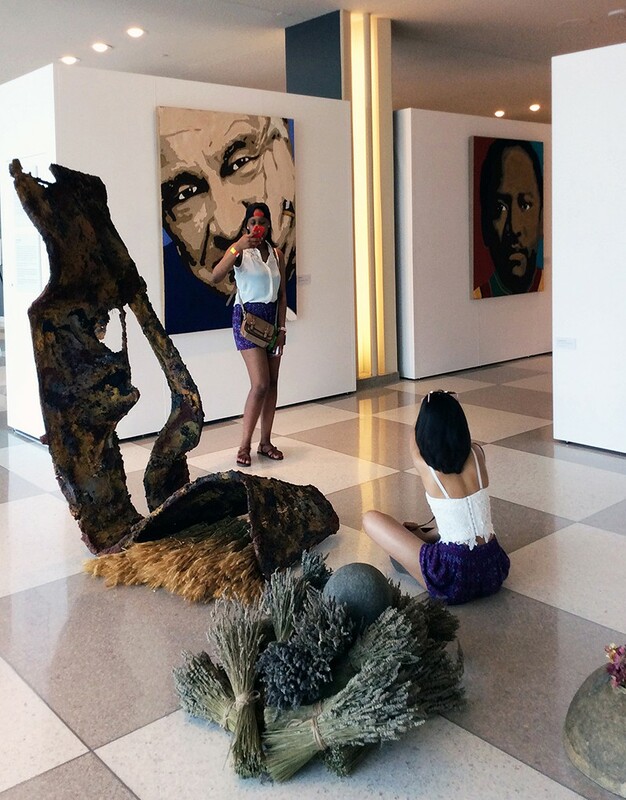 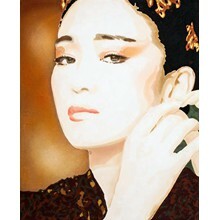 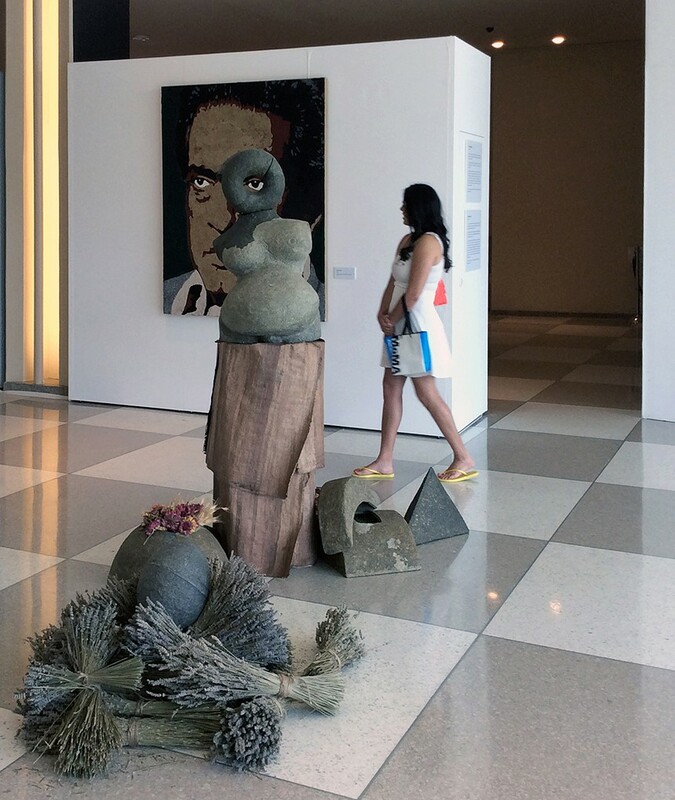 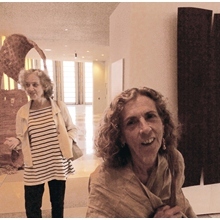 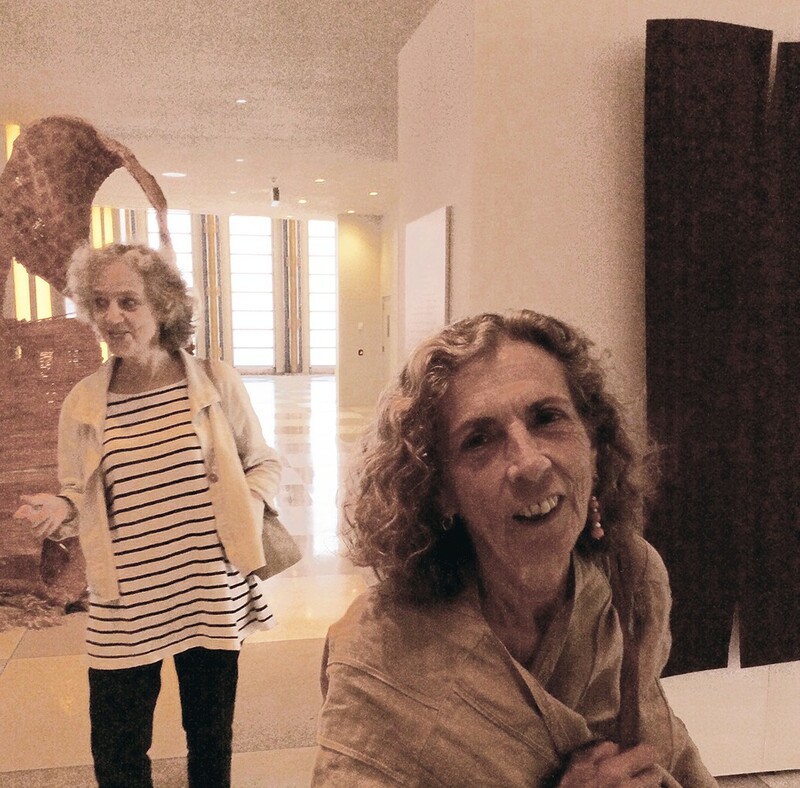 The exhibition features sculptures and portraits by Fabrizio Ruggiero and papier-mache by Nina Muzzi. 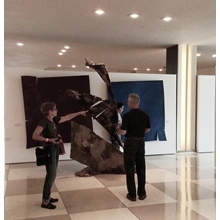 , which in the hands of this environmental artist becomes a new ecological material. 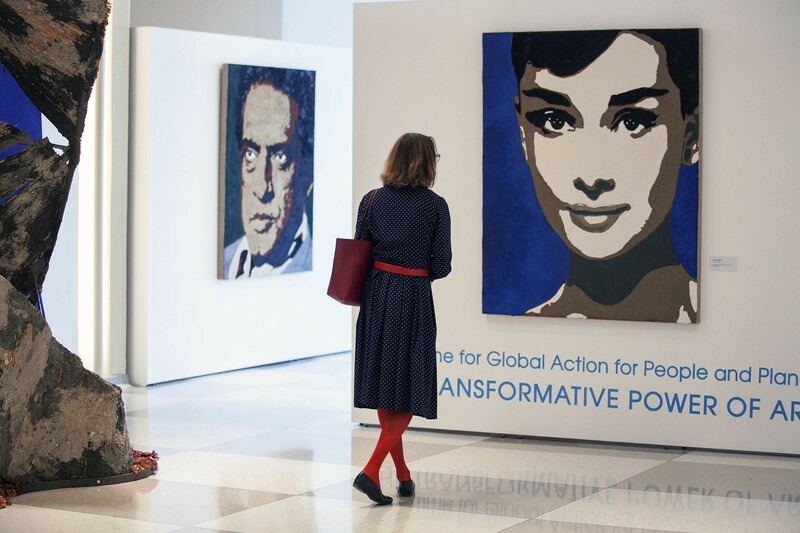 and depict thinkers and artists from all continents who contributed to the common good of humanity and stood up for the most vulnerable. 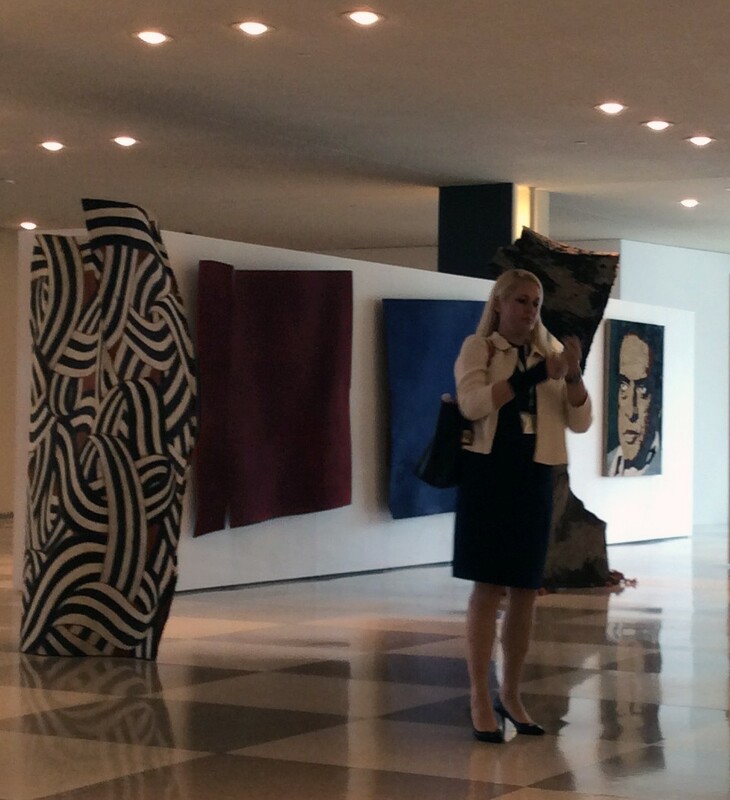 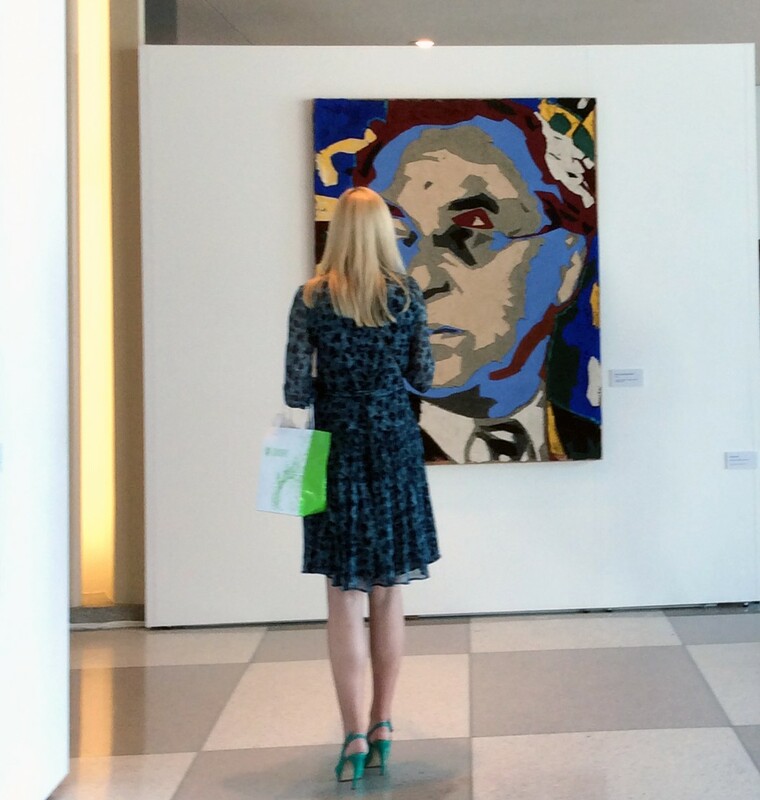 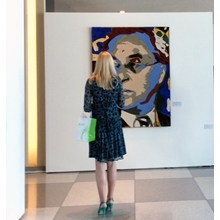 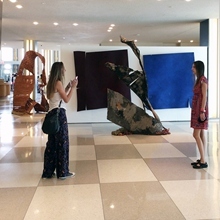 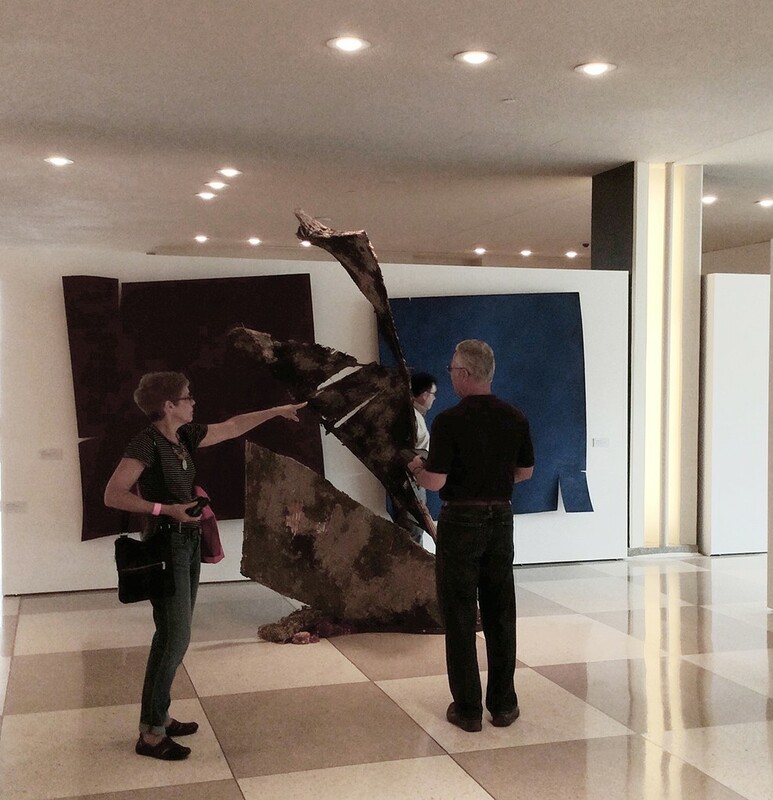 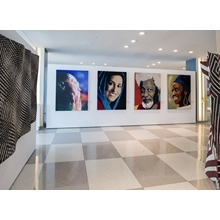 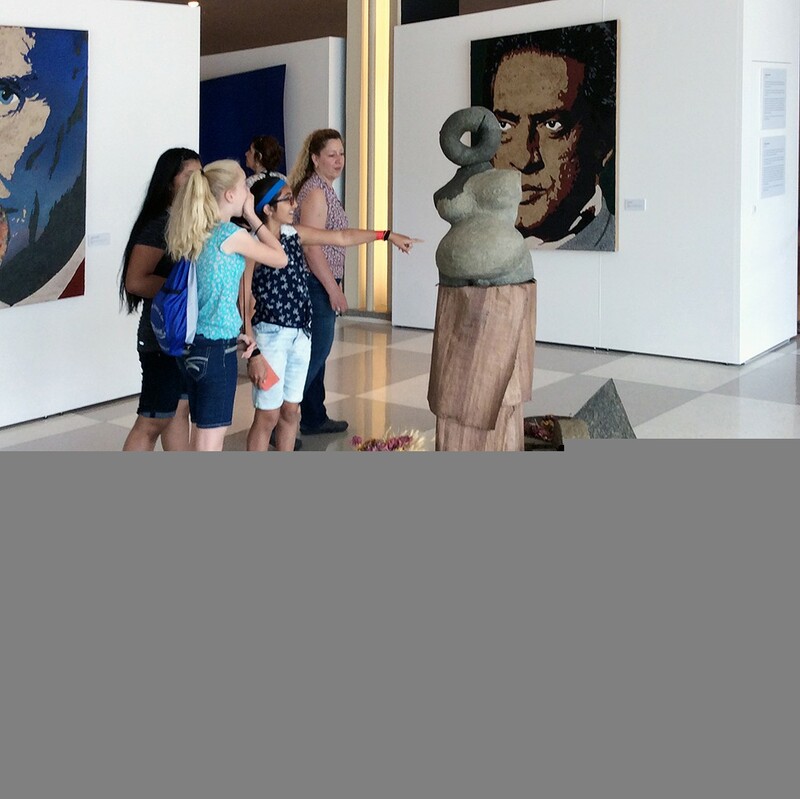 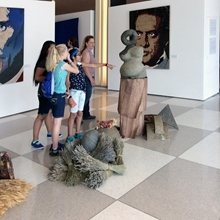 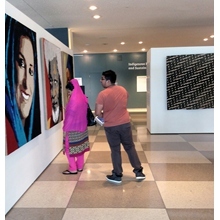 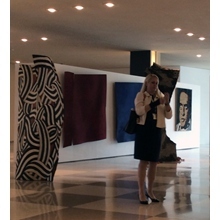 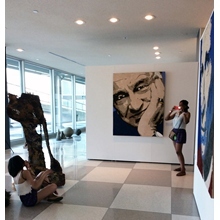 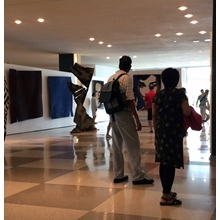 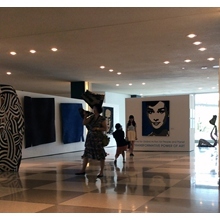 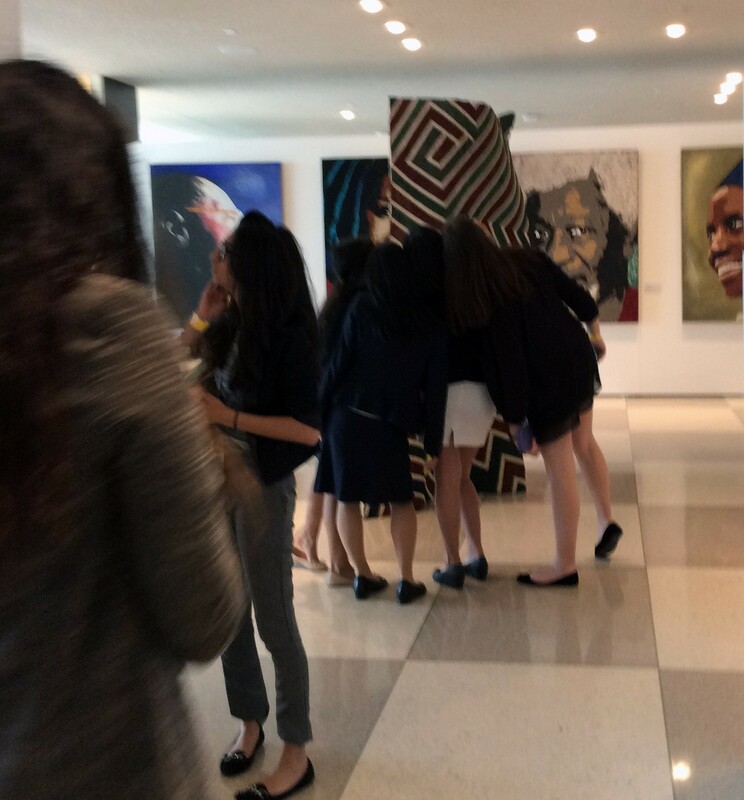 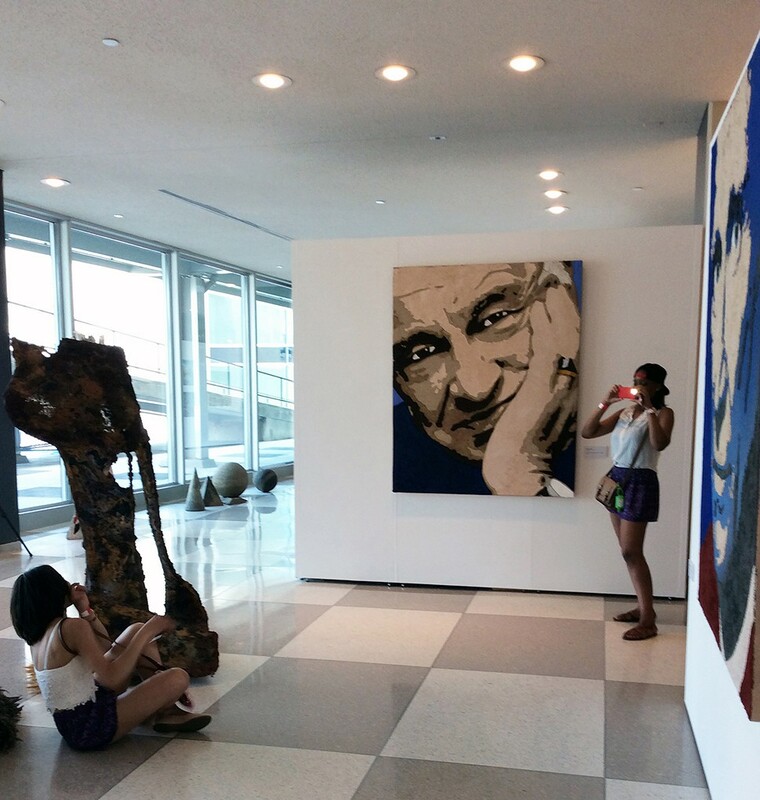 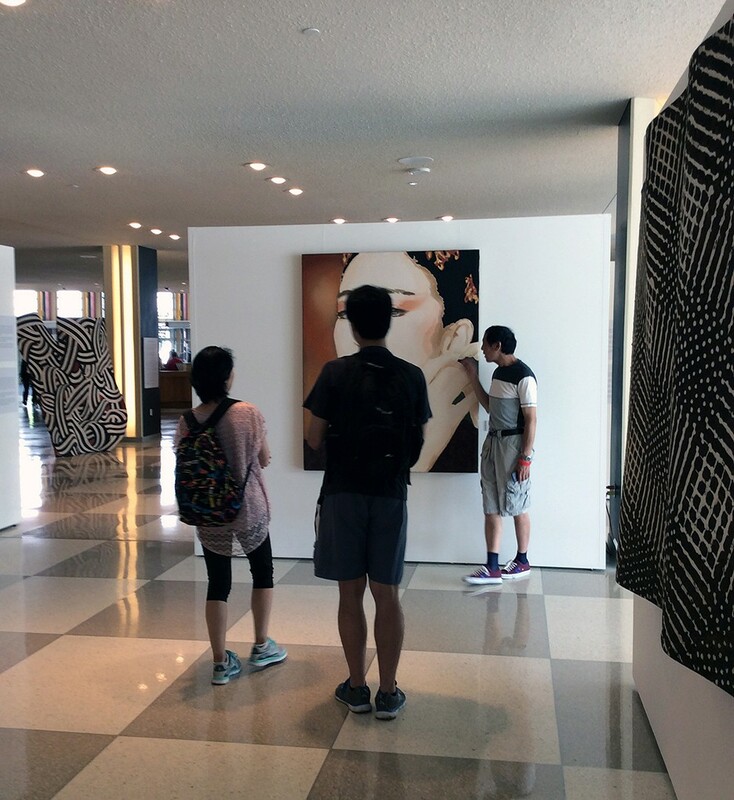 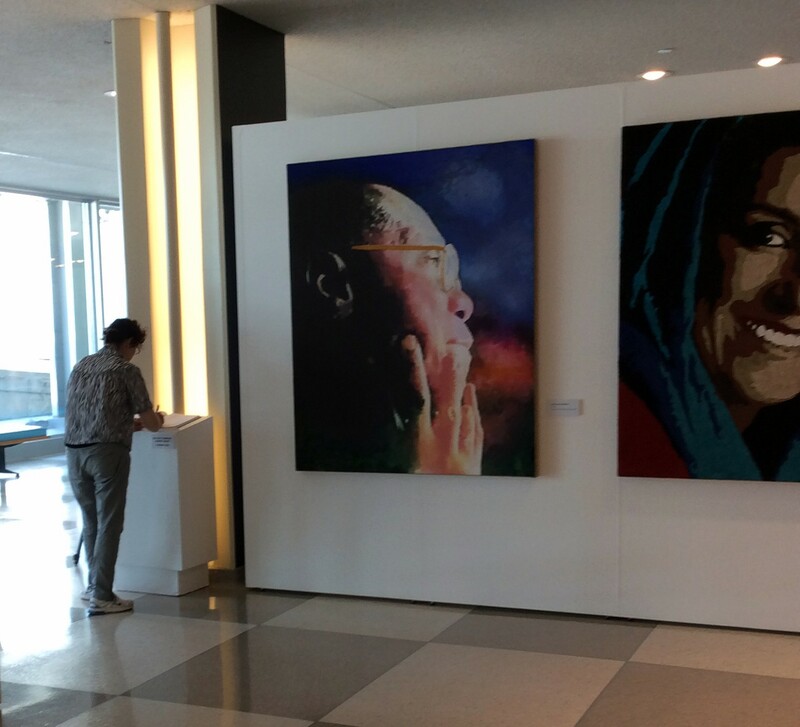 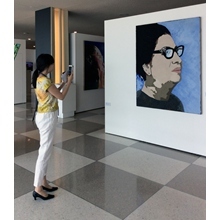 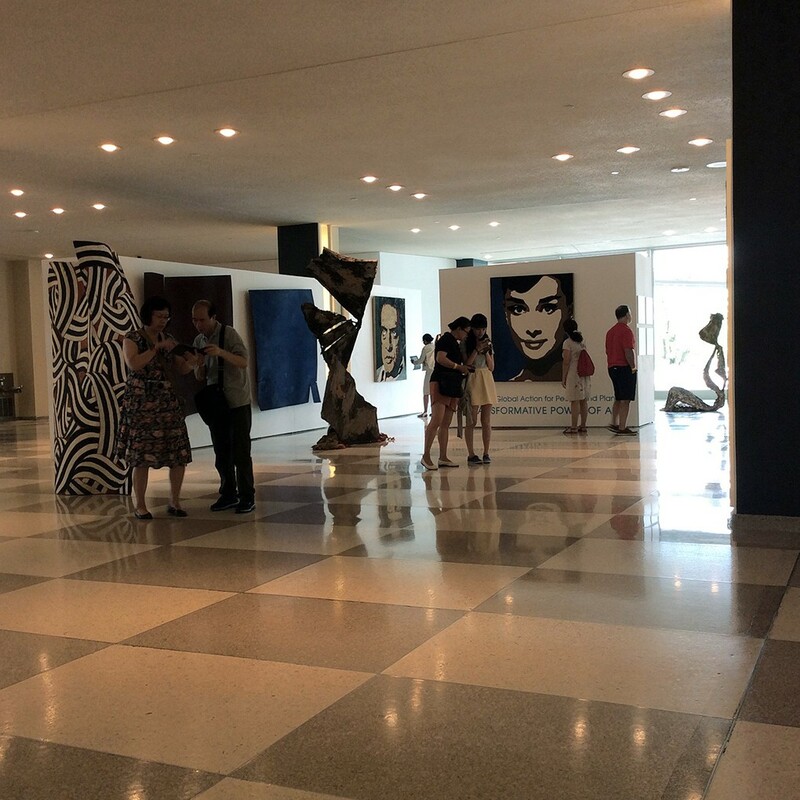 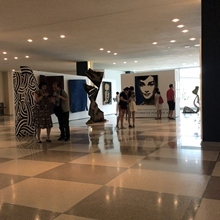 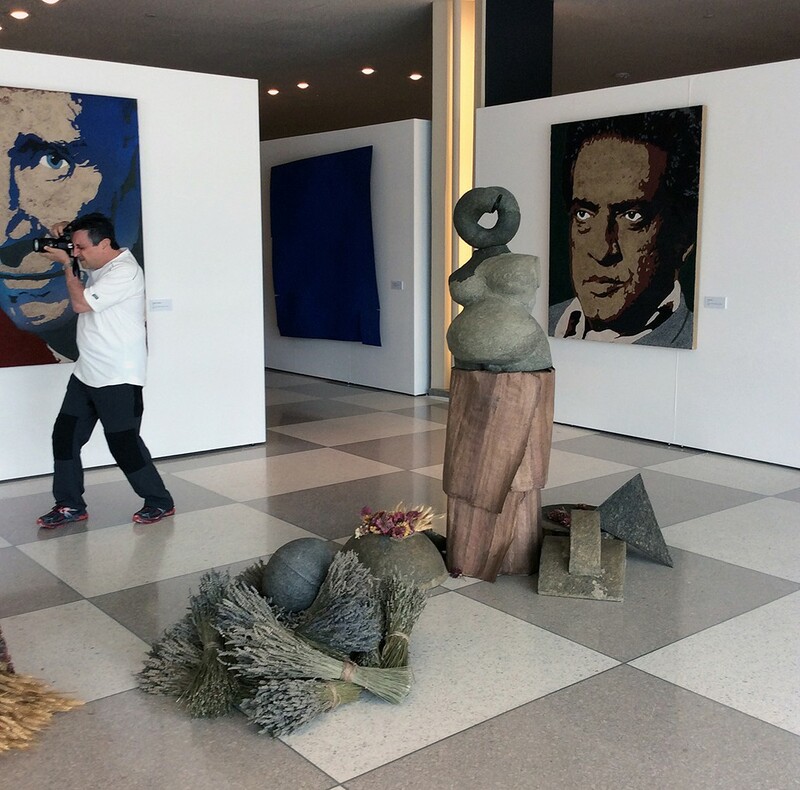 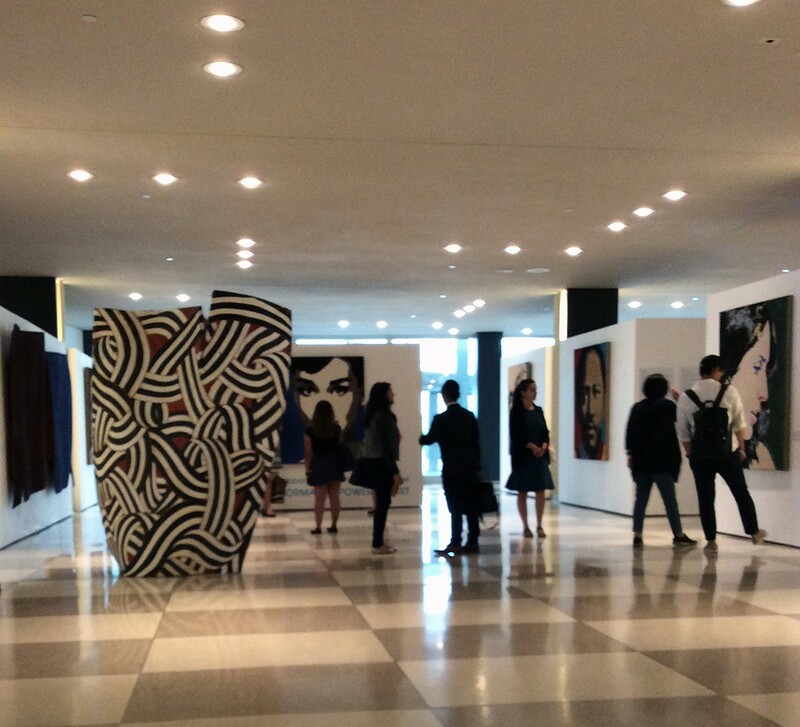 President of the sixty-ninth session of the United Nations General Assembly,took place in the Visitors’ Lobby on Tuesday, 30 June 2015.